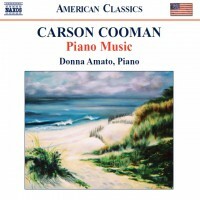 Seascape Passion: Midday Brightness (Third Piano Sonata) (2002) was commissioned for and is dedicated to pianist and composer Marco Modaro. It was inspired both by his own compositional work and his pianistic abilities. The other inspiration for the work is taken from the writings of the Scottish poet George Mackay Brown (1917–1996), much of whose work dealt with the “transposition” of religious imagery and symbolism from its traditional context into the context and distinctive landscape of his native Orkney Islands of North Scotland. The extra-musical starting point for this work was also religious imagery (specifically the Passion) transposed to a different landscape (from the original Biblical one). In this case, however, the landscape in mind was that of Nantucket Island, Massachusetts—on which most of the composition of this work took place. The work is thus a “seascape Passion”, with the Passion narrative projected through the midday brightness of the Nantucket landscape. This work is cast in one large movement, cast into three clearly defined sections. The basic material for the entire work is presented at the start in the opening jagged gesture and is in a continual state of transformation throughout. The first section is rhapsodic and dramatic. The second section is very quiet and reposed. The third section is quick and energetic. It builds to a maniacal climax, before a “desolate” (windswept…) coda closes the work—seeking and then finally reaching a state of peace.